Are you in need of a fun & interactive activity? 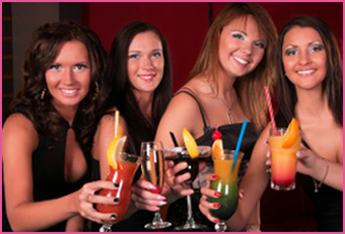 Whether it’s for a hen party, stag do, group or team building event or even a corporate day, our cocktail making classes will be perfect. 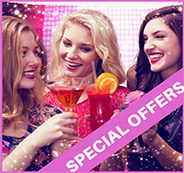 Held in city centre modern bars your group will experience what it’s like to be a cocktail mixologist. Within a short amount of time the group will have made 2-3 cocktails behind the bar. After being taught by the bar tender, obviously. As well as having a go using all the professional equipment, all the tricks of the trade and all the fun! There is no better way to kick start a group event than with a cocktail class. And don’t worry if you aren’t a drinker, everyone has the chance to create some amazing drinks whether they’re alcoholic or not. After the last cocktail is made, the night will begin. This is when you’ll be shown to your reserved seating to continue the party. And whilst your all enjoying drinking the cocktails, a light hot and cold buffet will be served. This will help soak up some of the alcohol before you head out to the next bar! The cocktail making class begins with an introduction to the mixologist, who will familiarise the party with the cocktail making equipment (strainers, shakers, muddlers, glasses) used to make fabulous cocktails. The group will then take turns creating and shaking their own cocktails behind the bar, great photo opportunity! Once our cocktail making classes have reached their finale, you will be shown to some reserved seating where you can finish your cocktails and enjoy some sharing food.